Would you like to give your hair the same brilliance that Gloss gives to your lips? With Gloss Blow Dry you can! Only in the Compagnia della Bellezza Salons. Our unique Gloss Blow Dry offers the STYLE of today, fitting your style and face and same time, it gives an extreme GLOSS to your hair, enhancing the color and making them visibly healthier from the start. 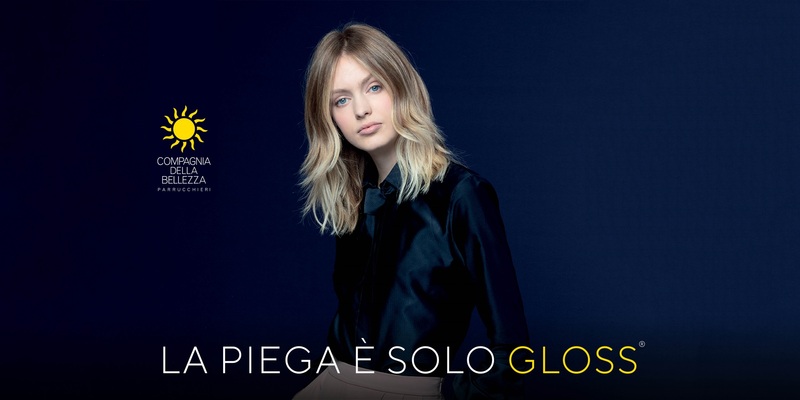 Our Gloss Blow Dry provides a “chromatic shower”, a polishing effect for your hair, with our exclusive CUORICROMIA line products, based on polish pigments and ingredients, moisturizing and protective of plant origin. In addition, our Blow Dry Rituel involves the use of special brushes and styling products carefully selected by our best Hair Stylists to protect the delicate hair structure and prolong the hair set life. Our Blow Dry service is a real Rituel of Beauty for your hair. Book it now in the nearest Compagnia della Bellezza salon! Ask to the nearest salon this exclusive treatment!